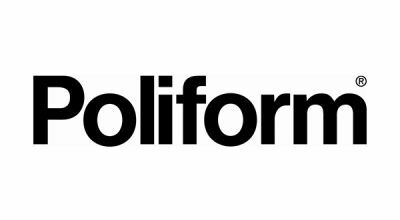 Poliform was founded in 1970, having evolved from an artisan business dating back to 1942. Right from the start the company made no secret of its industrial ethos: its aim has been to exploit the full potential of automated production line methods, constantly monitoring change in an increasingly more global market. Over the years Poliform's range of lines has never strayed from current trends as the company has successfully managed to satisfy the most varied of international needs and tastes, and anticipate and interpret trends in living. Poliform's collection includes systems and furnishing accessories for the whole house: bookcases, containers, wardrobes and beds. In 1996 the tradename Varenna was added to the company set-up, which specialises exclusively in kitchen furniture. In 2006 the company launched its first collection of padded articles. A crucial factor in Poliform's successful growth has been being creatively associated with many prestigious designers, architects of such international renown as Marcel Wanders, Carlo Colombo, Vincent Van Duysen, Paolo Piva, Paola Navone, Studio Kairos, Robert Barbieri and Robert Lazzeroni. Poliform also channels its creative and productive energies into such parallel and complementary areas as large-scale international furnishing, including work of the highest standard for London's West End Quay, the AOL Time Warner Center in New York, and the Presidential Chambers of the Clinton Library in Little Rock or the Palmolive Building in Chicago.